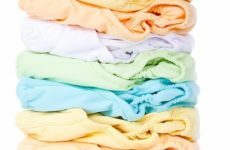 New eco-friendly and money-saving reusable cloth baby diapers and covers save families up to $900 per year over the cost of disposable diapers, according to new industry data. ATLANTA, Dec. 28, 2016 /PRNewswire/ -- Reusable cloth diapers are becoming more popular among health- and environmentally-conscious parents. In response to increasing demand, Baby Tooshy has introduced new reusable cloth diapers and covers that make cloth diapers virtually leak-proof, to help families save money and waste compared to disposable diapers. Reusable cloth baby diapers stop an estimated half-ton of disposable diapers per child from going into U.S. landfills each year and cut down on pathogens that could leak into the water supply. Disposable diapers are a popular consumer product in the United States, but reports show their convenience comes at a price to the environment.